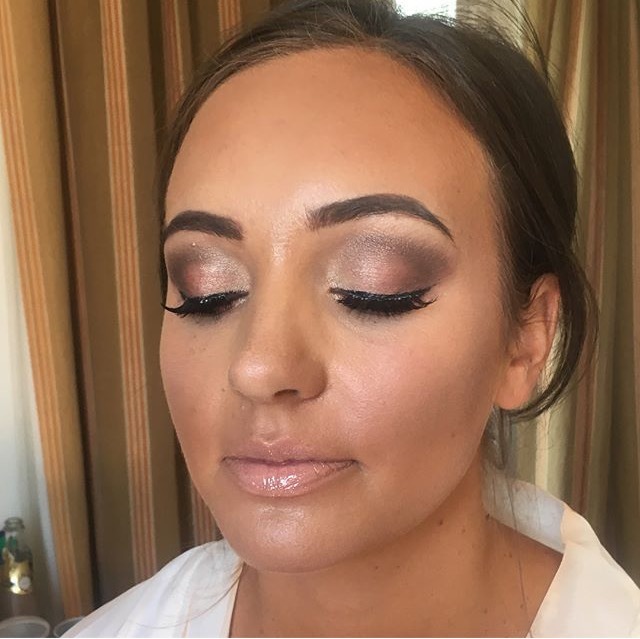 Louise Hill, a Spanish bridal hair and makeup specialist, is originally from London and is now much in demand for her services all over the coast. I think I have always known that this was the career for me. I have felt passionate about it for as long as I can remember. Ever since I was a small child I’ve loved playing with hair and makeup. I grew up watching my mum spend hours every day blow-drying her hair and applying an array of lotions, potions and products to her skin. The 1980’s was an especially inspirational era, with big hair, backcombing and brightly coloured made-up faces. I remember trying to see how many colours I could fit on one eyelid – but don’t worry; this isn’t a look I advise for my brides now! Not surprisingly, art was always my favourite subject at school and I viewed hair and makeup as an art form on so many different levels. I went on to study hairdressing, professional makeup and A-level art at college. After completing my course I was offered a job in a local hairdresser’s called Paul Faltrix. Paul had been Nicky Clark’s assistant at John Freida’s and was working on some really exciting projects including the British hairdressing awards and a variety of TV shows. It was a great opportunity to learn more and be around extremely inspirational and dedicated artists. I had always wanted to travel so from there I went to work on cruise ships. This is where my love for creating hair-up styles and working on weddings blossomed. Since then I’ve worked as a session stylist in London, taught hairdressing for L’Oréal . I am blessed to have worked all over the world. I’ve always had a passion for bridal hair and makeup. There’s just something so special about being a part of a bride’s big day. I love the atmosphere, everyone together getting ready, the feeling of love in the air – I’m a hopeless romantic. It’s such a happy and emotional occasion. Being part of the creative process with hair and makeup never really feels like work. I just love making my brides look and feel fabulous. Letting a professional look after you the morning of your wedding totally relaxes you and takes any stress or anxiety out of that part of the day. You look the most beautiful version of you. I think that it’s important to have a trial before your wedding. It gives you an opportunity to try the looks that you like, get advice from your hairdresser/makeup artist and know that you are 100% happy with what you have chosen. I came to Spain three years ago to do my friend’s wedding hair and makeup. It got me thinking that maybe a little more sunshine would be nice. I’d always thought about moving to Spain so I decided it was time to take the plunge and give it a go, and I haven’t looked back. Many of my brides’ biggest concern is how will the hair and makeup hold up in the heat. Using the right products in the hair for hold and anti-frizz is really important. I always recommend to any brides getting married in August to opt for hair-up do, which will keep it off the neck and face. As for makeup, prep the skin before so that it’s well moisturised and hydrated. All products need to be of the best quality and waterproof where possible. I use a good primer before foundation, then powder and finish off with a setting spray. In my kit you will find only a mix of products. 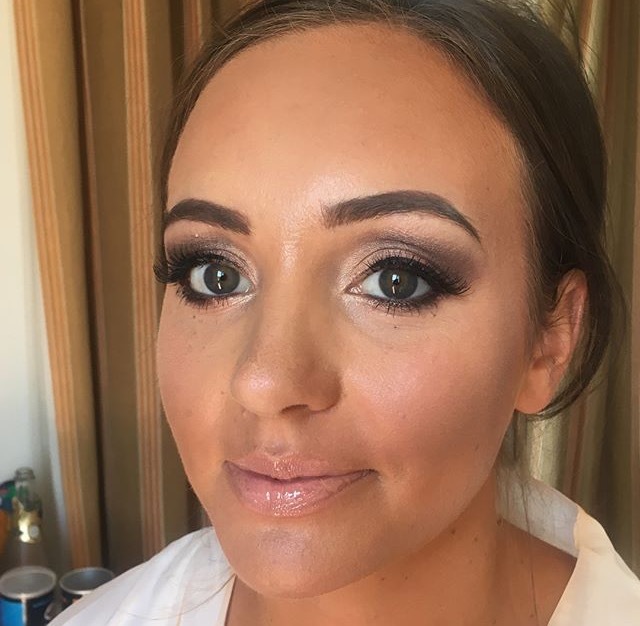 MAC, Bobbi Brown, Urban Decay, YSL, Make Up For Ever, L’Oréal, plus my specialised airbrush makeup products, which give you a flawless finish and are amazing in the heat. If you’re not used to wearing makeup and want to keep it natural just stick to lightweight foundation and natural tones. It’s important to have a little more that usual for photos. Plus once you put your dress on and your hair is finished, a little makeup just to enhance your best features will complete your look. Just keep it soft, light, pretty and simple. If I hadn’t been a hair and makeup artist I think I would have worked in costume design for films. Creating costumes for characters, conjuring up images of how they should look, bringing them to life and seeing them on the big screen. How incredible that must be.